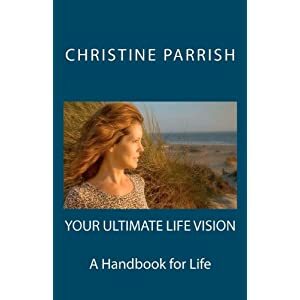 YOUR ULTIMATE LIFE VISION, a Handbook for Life | Dream It - See It - Live It! If you are ready to take a snapshot of your life and identify which parts of it are not where you had imagined they would be by now, then you will enjoy my new book, YOUR ULTIMATE LIFE VISION, a Handbook for Life. It provides simple tools, wrapped around life experiences, that will facilitate you in the process of first envisioning the life you want, and then writing down tangible plans which will keep you on track. You have to make the choice to reach your dreams. Are you ready? « Have you set goals for 2012?